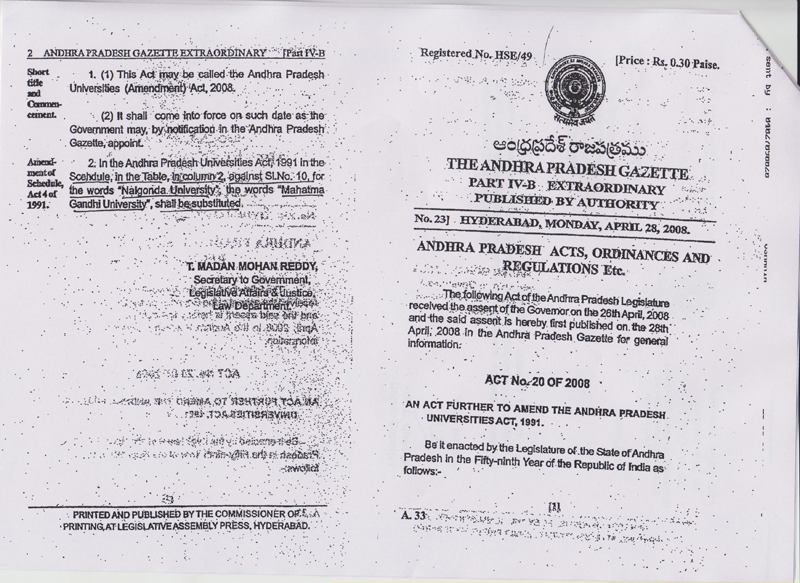 The Government of Andhra Pradesh established Nalgonda University in the year 2007 vide Government Orders in G.O.19/HE (UE-II) Department, dt: 13/3/2007 by suitably amending the Andhra Pradesh Universities Act 1991 under Section-3(1) in L.A.Bill No.4 of 2007. The establishment of this university is part of the vision of the Government of Andhra Pradesh to promote access, equity and inclusiveness in Higher Education. 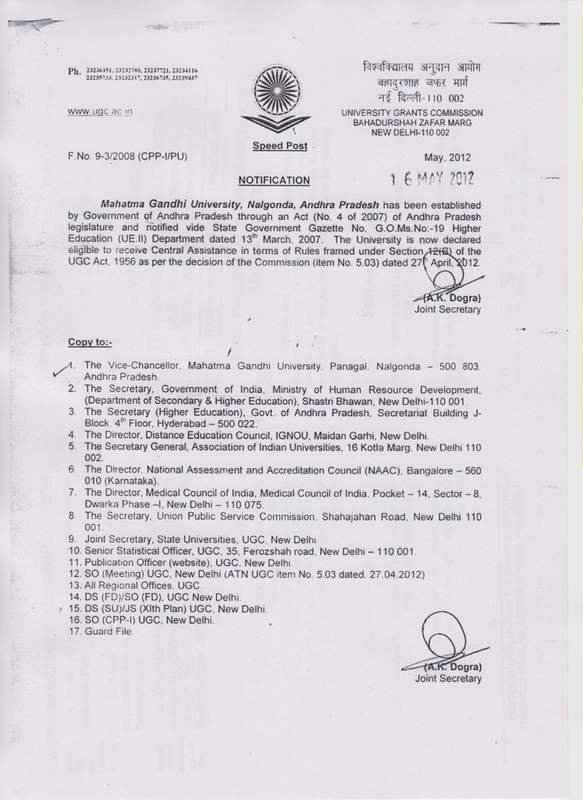 This University has been renamed by the Government of Andhra Pradesh as Mahatma Gandhi University by amending the Schedule of Act 4 of 1991, which was published in the A.P. Gazette on April 28, 2008. 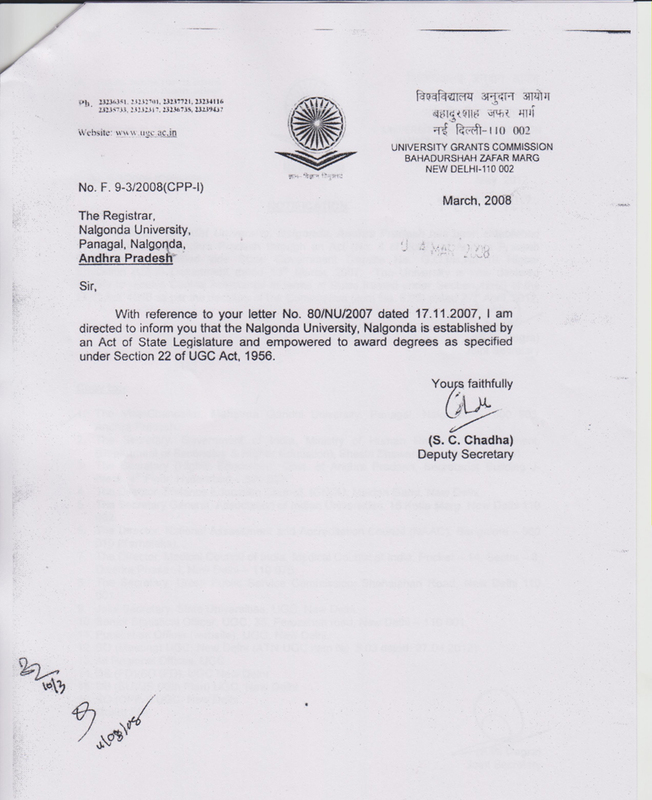 The University Head Quarters were located in Nalgonda town during the reporting year 2010-11 and its permanent campus is being developed in 240 acres of land allotted to the University on the state highway (Nalgonda – Narketpally) at Anneparthy, 7kms from Nalgonda town.